This is the complete wet-end assembly for the Chugger Brew Pump. 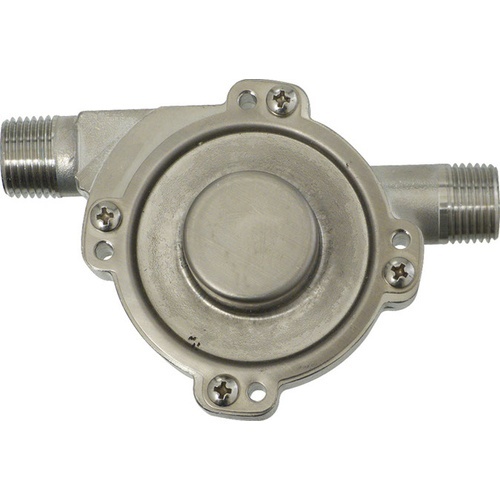 Stainless steel construction means that this is going to be the last head you buy for your pump. If you have ever cross-threaded or snapped the threads off of a plastic head pump (which is probably why your looking at this! 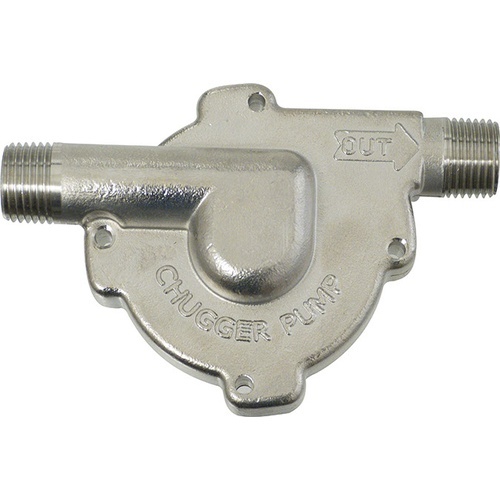 ), The Stainless Chugger Head is the end-all solution for these problems. 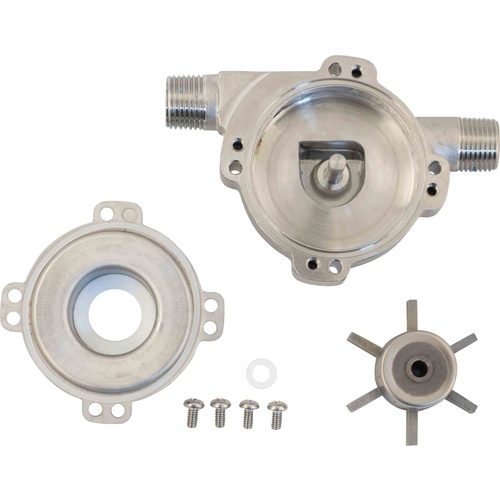 This pump head works for all of the chugger lineup, and also as a replacement / upgrade for our H315 March Pumps (March Part # 815-PL)! The part arrived in a couple of days. stellar!!! BREW!!! I have an old march pump 809-PL-HS and I broked the pump head conector. This part fit perfectly and now I have a march pump with steel head.